The government have been forced to retreat on their pay policy by a wave of strikes. Luas drivers, bus workers and teachers have all taken to the picket lines to oppose wage restraint. The mere threat of strike action by Gardai caused extreme jitters at the Cabinet table. The government were forced to make more than €40 million worth of concessions to try to avert industrial action by the police. The result of the Garda ballot will be known by 28 November and is far from guaranteed to be for accepting terms. Nurses, doctors, low paid civil servants and others have stepped forward to seek similar increases. The Irish Medical Organisation (IMO) are balloting non consultant hospital doctors for industrial action in support of full restoration of a €3,000 allowance. 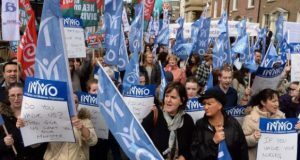 The Irish Nurses and Midwives Organisation (INMO) are balloting their 37,000 members for industrial action for pay restoration. SIPTU have indicated that they will ballot their 60,000 public sector members for industrial action if the government don’t announce plans for pay talks in February. Many of the trade union leaders would like to use this opportunity to re-establish a social partnership process. Social partnership dominated the Irish industrial relations scene from the late 1980s to the start of the crisis years. It involved the government, the bosses, the Irish Congress of Trade Unions (ICTU) and “civil society” organisations hammering out agreements (usually every three years) on pay and general economic policy. There should be no return to social partnership. 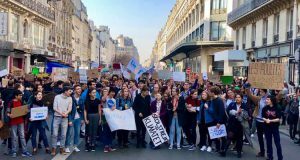 Social partnership ties the workers’ movement in with the economic policies of right-wing governments for years at a time. It usually trades off modest pay increases and tax cuts for massive cuts in the social wage, ie health, education, other services. It severely undermines union activity by concentrating all power in the hands of the negotiators, ie the union leadership. The bosses and their governments are not our partners. Instead, the public sector unions should submit bold wage claims in defence of their members’ living standards. These claims should be aimed at immediate full pay restoration including an end to two-tier wage rates which place new recruits, overwhelmingly younger workers, on lower wage rates than others performing the same tasks. They should also provide for cost of living increases which take into account the rent rises which have eaten into the pay packets of so many in recent times. There should be no illusions that a right-wing government operating within the European fiscal rules and ideologically opposed to seriously taxing the rich to improve the lot of working people will willingly concede such claims. 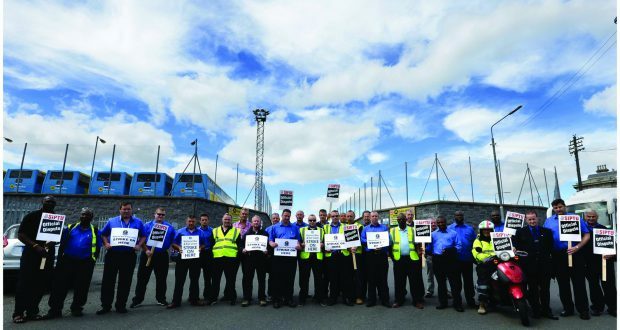 Negotiations will inevitably be the prelude to a standoff; a standoff that can only be resolved favourably for workers by strong and determined strike action. The trade union movement will also need to take action to prevent the government successfully pursuing a policy of divide and conquer. They will attempt to divide private sector workers from public. They will also attempt to divide the general public from the public sector workforce. They will do this by arguing that pay increases can only be paid for by cutting public services. The unions must argue for improved wages AND improved services and for both to be paid for by increased taxation of the super-rich. For example: a 2% millionaire’s tax would raise €2.9 billion. Full public sector pay restoration would cost €2.1 billion. Alongside the claims for public sector pay increases, the trade union movement should submit a wave of private sector pay increase claims. Appeals should also be made for private sector workers to join trade unions. In this way the interests of public sector workers, private sector workers and the broad mass of ordinary people can be bound more tightly together and real progress made in securing a recovery for working people.